Fred Gale is an Associate Professor in Politics and International Relations, in the School of Social Sciences. His research focuses on rethinking the discipline of political economy from a sustainability perspective and working through its implications for trade, investment, finance, labour and cultural practices. His new book setting out these ideas The Political Economy of Sustainability, has just been published with Edward Elgar and is available at the below link. He has also undertaken investigations into local, national and global private governance systems, especially those using multistakeholder approaches to develop social and environmental standards. His sectoral expertise is in forestry, fisheries, egg certification, and labelling systems. He is also researching the political economy of sustainable food production and consumption in Tasmania and Australia focusing on the organic wine sector. Associate Professor Gale undertook a BA in English, Philosophy and Psychology at Trinity College Dublin and then worked in the field of International Development with Voluntary Services Overseas, the Agency for Personal Services Overseas, and the United Nations World Food Program before undertaking a PhD in Political Science at Carleton University Ottawa in the 1990s. 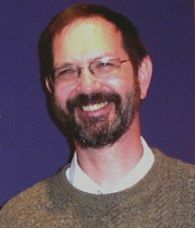 He completed his PhD dissertation on the International Tropical Timber Organisation in 1996 and subsequently held positions as Research Associate (Eco-Research Chair of Environmental Policy and Law) and Social Sciences and Humanities Research Council of Canada Post-Doctoral Fellow (Department of Political Science), both at the University of Victoria, Victoria, British Columbia, Canada. In 2000, he took up a position at the University of Tasmania, Launceston where he teaches and conducts research in the Discipline of Politics and International Relations, School of Social Sciences. Research management (including managing ARC Discovery grants and Category 1 grants). Associate Professor Gale's research aligns with the University's research theme of Environment, Resources and Sustainability. His major research interest currently is the development of a political economy of sustainability to reconstruct our understanding of trade, investment, property rights and taxation from a sustainability perspective. This work is building on recent research on value theory and specifically on the need for political economy to abandon value monism in favour of value pluralism. His new book synthesising this research, The Political Economy of Sustainability, will be published by Edward Elgar in July 2018. In pursuing this new research topic, Fred is building on previous extensive research into the political economy of deforestation and degradation in both tropical and temperate forestry contexts where he has undertaken critical investigations into the International Tropical Timber Organization (ITTO)'s efforts to promote sustainable forest management and the former Gunns Ltd's plans to establish a pulp mill in Northern Tasmania's Tamar Valley. Another research focus informing his work on the political economy of sustainability derives from his studies on governance theory and private governance initiatives at the national and global level utilising certification and labelling systems linked to social and environmental standards. Fred has carried out extensive research into the Forest Stewardship Council (FSC), the Marine Stewardship Council (MSC), as well as schemes such as Responsible Care, the International Organization for Standardization (ISO), and Fair Trade. In conducting research, Fred uses qualitative, comparative social science methods, especially literature review, conceptual analysis, theoretical critique often coupled with key informant interviews with experts in specific fields. In collaboration with colleagues in Canada and the UKI, he co-developed a three dimensional approach to governance that enables governance arrangements to be mapped and compared across their political, institution and regulatory aspects. This approach has proved to be especially useful in comparing and contrasting private governance arrangements in forestry and egg production where he has compared the FSC with the Australian Forestry Standard (AFS) and the various egg production labelling schemes operating in Australia such as Egg Corp Assured, RSPCA's Approved Farming Scheme and Humane Choice. Major publications over the past decade include books and articles on forestry and fisheries certification and labelling schemes and new governance arrangement. Well cited books including my 2006 edited book (with Cashore, Meidinger & Newsom) that investigated certification and labelling in developing countries, then a very under-research area. In 2008, I published a research monograph on the Forest Steward Council (with Tollefson and Haley) that examined in detail FSC's progress for standards development via a case study of British Columbia. And in 2011, I published a major text (with Marcus Haward) comparing state responses to forestry and fisheries certification in Australia, Canada and the UK. I have published numerous articles in international journals including Public Administration, Society & Natural Resources,Global Policy, Environmental Politics and Ecological Economics. In 2004, with Marcus Haward, I won an ARC Discovery grant ($145,000) to undertake research on certification and labelling in the forestry and fisheries sectors. The project led to several conference publications as well as major book, Global Commodity Governance: State Responses to Sustainable Forestry and Fisheries Certification, with a major international press, Palgrave Macmillan (2011). In 2011, I won a Category 1 grant with the Australian Egg Corporation Limited to undertake research on certification and labelling in the Australian egg industry ($25,000). This project led to a major report comparing egg certification schemes in Australia across the three governance dimensions of politics, institutions and regulations (https://www.aecl.org/r-and-d/activities/completed-activities/certification-and-labelling-models-for-the-australian-egg-industry/). This study is being followed up by a second that investigates the standards and guidelines approach to hen welfare, the degree to which they are science-based, and whether alternative approaches to hen welfare are feasible. A draft report is under review by AECL. This project scopes the campaigning strategies employed by Australian civil society organisations to contest corporate tax avoidance practices. The role of environmental sensor data within new financial markets. Key objective: to provide a standardised approach to the collection and processing of environmental data, informed by both technical feasibility and awareness of the requirements imposed by new financial markets, which is internationally consistent and fit for purpose. The project will convene a Technical Committee to deliver a new draft environmental data accounting standard, to be published for wider international consultation by the end of 2016.The research will position Tasmania at the forefront of international efforts to develop standards to underpin the rapidly-developing areas of natural capital accounting and new environmental markets, thus enabling Tasmanian businesses to continue to innovate new products and services with international market potential. Fred welcomes postgraduate supervision inquiries in the following areas: sustainability, international development, community governance, global standards organisations, critical political economy, ecological economics, sustainable consumption and production, global environmental politics.